I knew if I waited long enough 1972 would happen again, I just never expected it to happen at the legendary Brudenell club in Leeds in 2016. 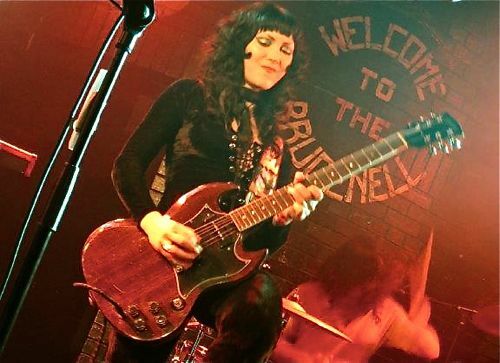 Tonight’s headline band, Purson wear their 1970s prog-inspired influences proudly and defiantly, even taking the time and effort to dress accordingly, with great emphasis on flares, crushed velvet cat suits and much embroidered haberdashery, so you not only get a sonic treat but an extremely pleasing visual one. 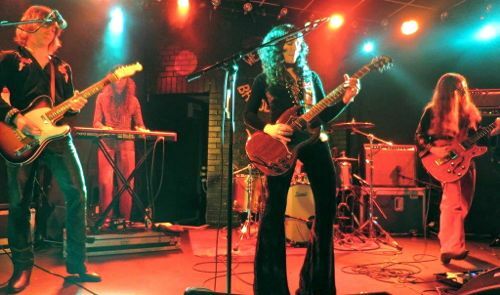 Purson’s new album Desires Magic Theatre is a somewhat retro blast of 1970s rock, with lots of cosmic lyrics, great guitar solos and some dynamic vocals courtesy of their striking front woman Rosalie Cunningham. Live they transcend their influences with virtuoso playing, intricate song structures and some fantastic solos. The album does not prepare you for the passion and sheer joy of their onstage performance. This gig was the final show on the current mini-tour before a summer schedule that sees them playing in the USA and attending various festivals. I’m sure by their return in Autumn word would have gotten out that these young musicians are a great live draw. Two very different bands supported. Firstly the enigmatically named Wild Birds of Britain, in a short set they played some very nice guitar based numbers, lots of nifty lead work with the requisite quiet, melodic middle section before the trippy solo and final riffy end bit. Again it was very retro sounding but assembled with genuine love. 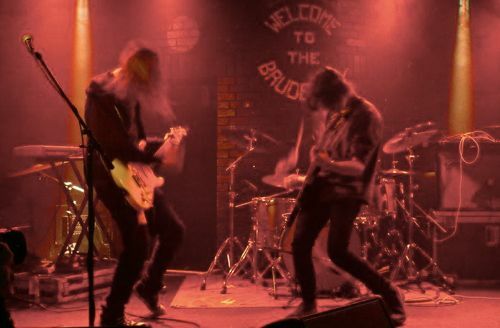 Completely opposite were Crosa Rosa, a young, energetic and grungy three-piece from Nottingham, who blazed across the Brudenell stage like a firestorm of sound. Check out their debut EP ‘Pantophobia’ and catch them on the next Dot to Dot festival in Nottingham, Manchester and Bristol.